It is the new look. It stops the aliens reading my mind. In the summer I had highlights brought on by gardening in the sun, now they are growing out and I have never had highlights put in by human hand before. I have been sat in front of a mirror looking like this, there was really only one thing for it. 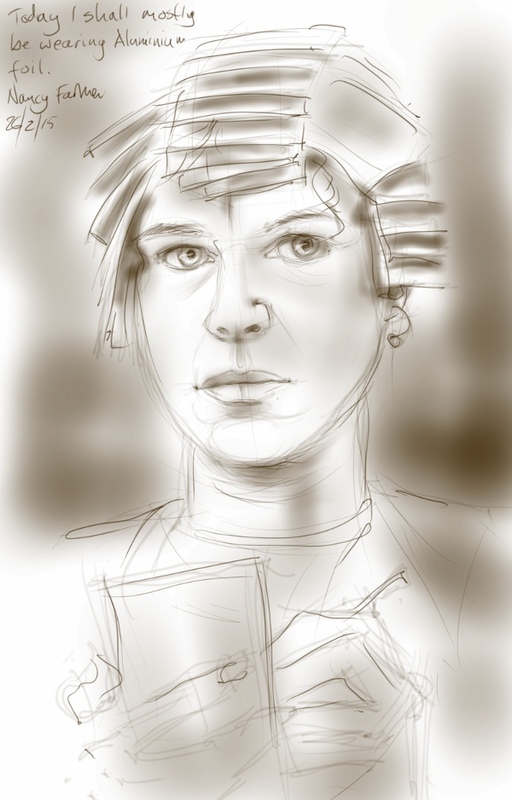 This entry was posted in People, Portraits and tagged art, digital art, drawing, hair, hairdressers, life drawing, Nancy Farmer, self-portrait, sketch on February 26, 2015 by Nancy Farmer.